Question: Do you need to wrap foil containers with plastic before freezing?? Answer: No you don't need to wrap foil in plastic, foil containers are freezer quality. Just make sure that the lid seals well so air can not get in contact with the food. The plastic wrap would just be another layer of protection but you don't need it for foil containers. I do, however, recommend plastic wrap when using rolls of aluminum foil because it can tear easily. If you're reusing a foil container and don't have a lid for it you can cover it in heavy duty tin or aluminum foil. Another reason not to use plastic wrap is because plastic wrap can't go in the oven, with a foil pan and foil lid you can go from the freezer to the oven without thawing to reheat food. Also large foil pans full of food can get really heavy and lose their shape when you move or stack them. 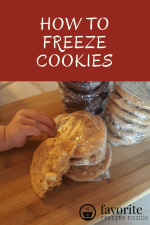 Put them on a cookie sheet before filling and use the sheet to move and to freeze them on. Then you can stack the foil containers after they are frozen solid. 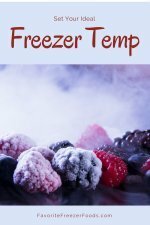 My page on freezer containers and what features to look for when shopping for containers might help you as well.